This entry was posted on July 23, 2018 at 6:17 am and is filed under Bars and restaurants, Bizarre deli names, Bronx and City Island, East Village, Lower Manhattan, Midtown. You can follow any responses to this entry through the RSS 2.0 feed. You can leave a response, or trackback from your own site. Is Cafe Roma still there? When I worked at Downtown Brooklyn I’d stop in many times for an espresso after work during my trek back home, that certainly revived me. This is kind of peripheral but I drove a taxi nights in the early 80s and Mr. Manganaro was a regular pick up at precisely three am every morning. He was dapper and impossibly chipper at that hour and loved to talk all the way to Ninth Avenue where some workers were already waiting. I had an image of the workers hauling in a heavy millstone cursing the cab driver. 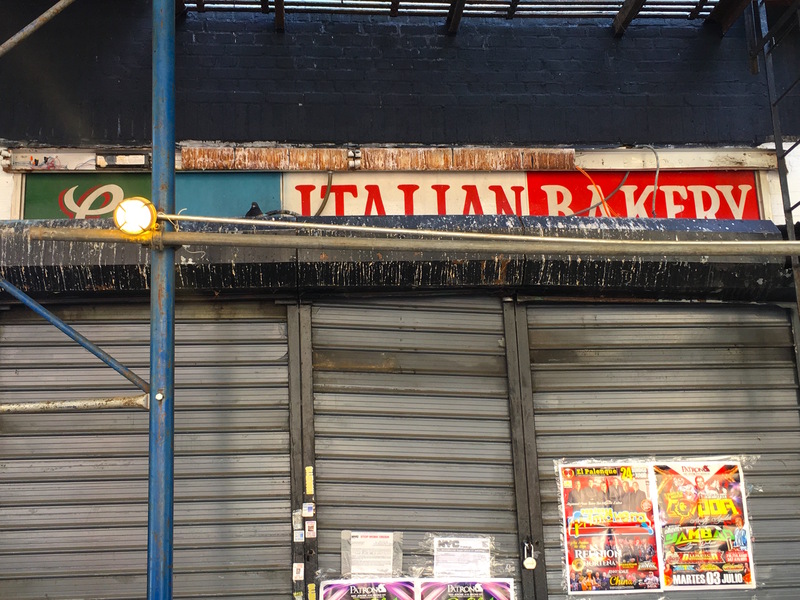 I love this story, and Manganaro’s…another RIP. I’ve been to Russo’s. It is very,very small inside. The customer line was out to the sidewalk. 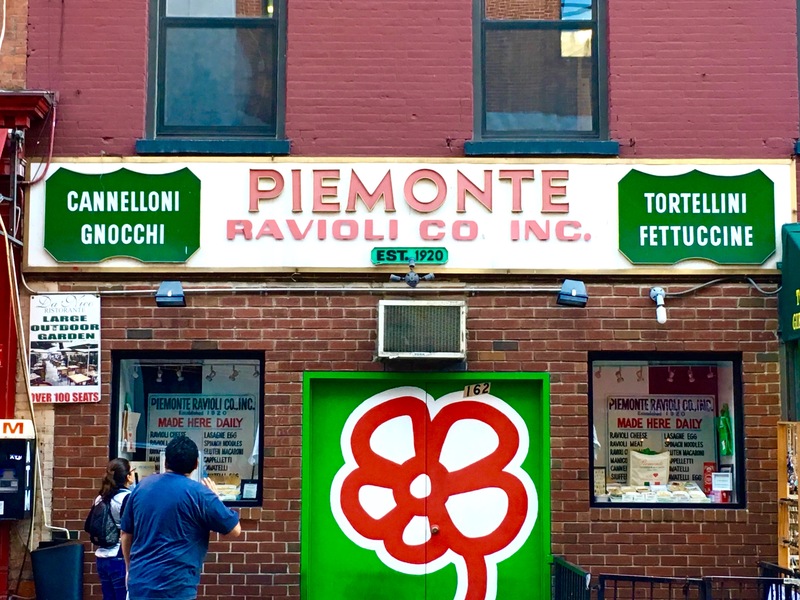 Next door is Veniero’s Pasticceria, 124 years in business. 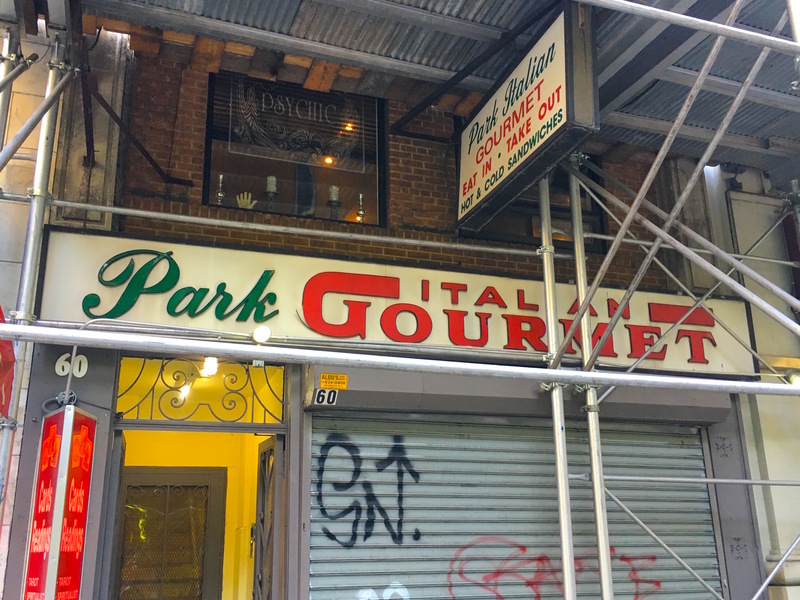 Park Deli is closed on the weekends. They make the best sandwiches. 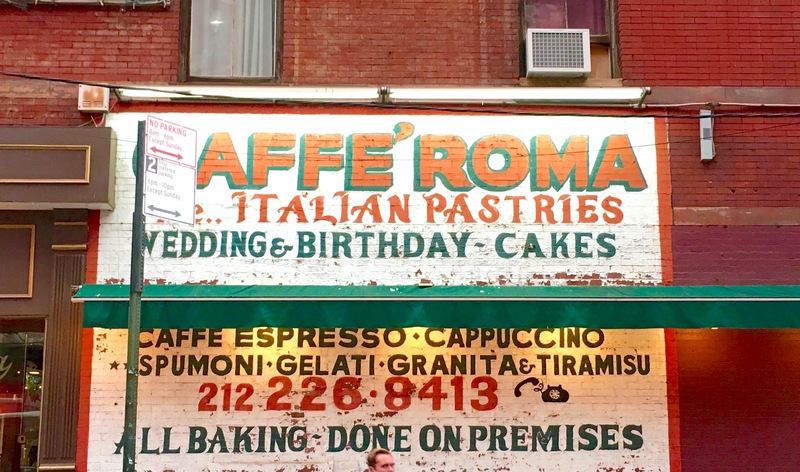 New Yorker’s are so fortunate to have all these authentic Italian deli/bakeries. Russo’s is worth the line. 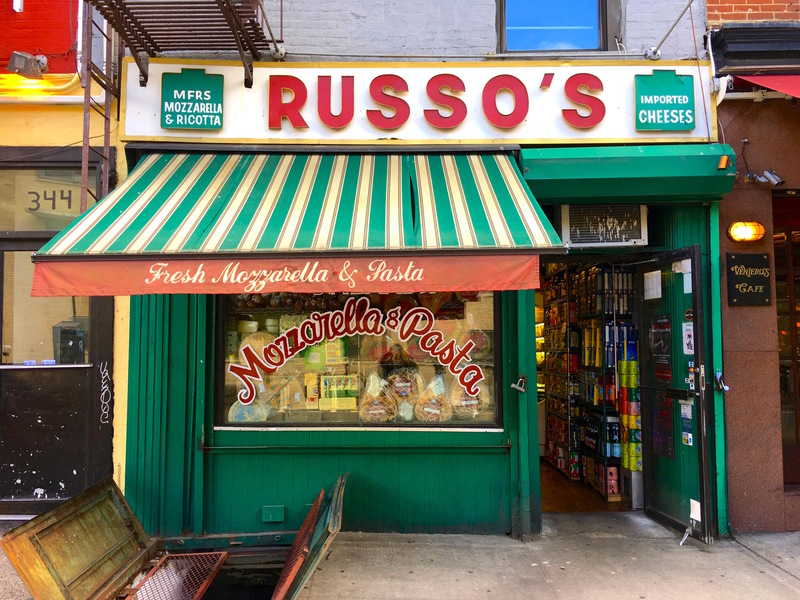 We do have so many excellent and authentic Italian food shops here in NYC, but Russo’s is the most heavenly. In the early 70’s, I used to live above the Italian Food Center on Grand and across the street from DiPaolo’s. Everything I wanted food wise, was right there!